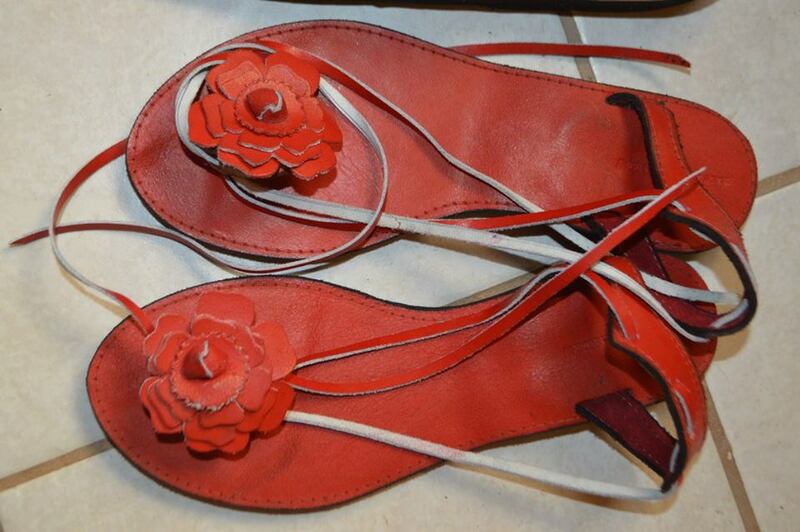 Beautiful leather sandals by Cecil are in the MAC4 collection. The Montserrat Arts Council, in association with the Montserrat National Trust, will host MAC4: a local Art Exhibition from Tuesday December 11th until January 12th, 2019. MAC4 is a celebration of visual artists and will feature four creatives working on Montserrat. This year’s artists are Llewellyn Brown, Cordella Yearwood, Jim Brown, and Adolphus Weekes. The Montserrat Arts Council said Friday they were pleased to partner with the St. Patrick’s Co-operative Credit Union to host the exhibition. Checking out Nicole Duberry’s collection at MAC4 2016. “The Montserrat Arts Council has always found unique ways of enhancing our Festival. Four very different talents will be featured this year and we, a proud Montserrat institution are equally proud to support not only the End of Year Festival, of which we are a Silver Sponsor, but to attach our name to this particular event. MAC4 has become a welcomed experience that has added a facet to the annual Festival that at once embraces artistry and commerce,” said Peter Queeley, Manager of the Credit Union. 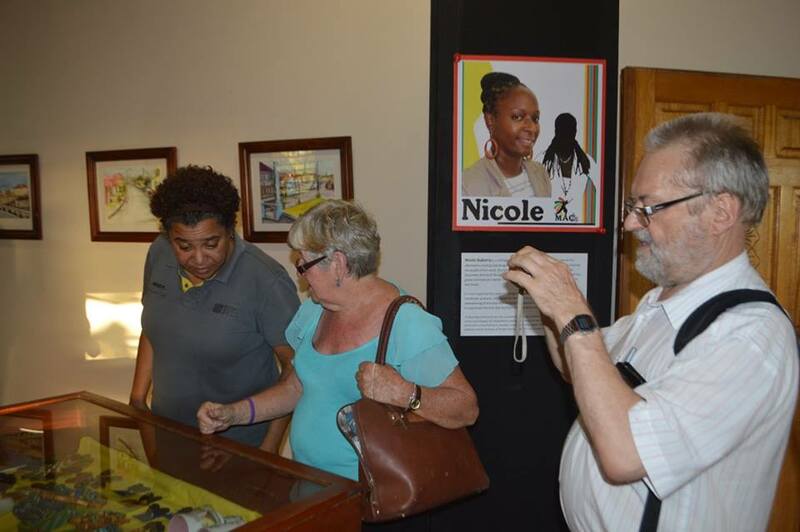 The exhibition will be open for public viewing on weekdays from 9AM to 4PM at the Montserrat National Trust in Salem. There is no admission fee.